Racing NSW stewards have disqualified an owner for 18 months for registering a horse with a foreign language name that contained a lewd four-letter word. Owner Stuart Ruse was found guilty of rule breaches after stewards conducted an inquiry relative to the naming of a Benfica filly as Andiamo Fica. Ruse, as the managing owner of the filly, was found guilty of submitting to Racing Australia the name Andiamo Fica in the knowledge that when translated from Italian to English the it means Let’s Go (C… word). The stewards found that such conduct was prejudicial to the image and/or interests of racing after determining that Ruse Ruse was responsible for the registration application that was submitted to Racing Australia in February this year. Ruse was also found guilty of providing false evidence during the inquiry when he denied knowing the Italian to English translation of the term Andiamo Fica. Ruse pleaded not guilty to both charges. 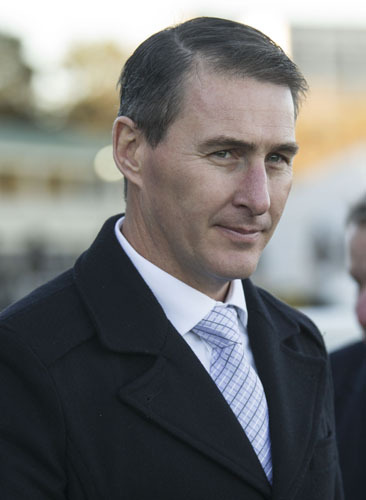 In handing disqualifications of 12 months on each charge chief steward Mark Van Gestel said the penalties had to be seen as a deterrent to those who are likeminded to engage in such conduct and to indicate to the broader community that thoroughbred racing is operating at the highest possible standards. 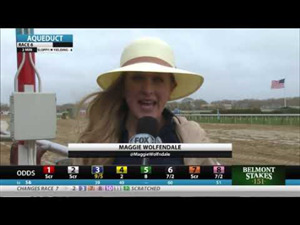 Having regard to the totality of the penalty the stewards determined that six months of the disqualification issued to Ruse for providing false evidence be served concurrently with the 12 months ban for his part in naming the horse. Ruse’s disqualification commences on September 12 and expires on March 13, 2020. Ruse was advised the filly would not be permitted to start in a race or trial until such time as her name is changed to the satisfaction of Racing NSW and that he either exercises his right of appeal or removes himself from the ownership of the filly. Racing NSW stewards completed a second inquiry on Thursday involving trainer Shari-Lea Hitchcock and found her guilty on several charges stemming from the death of the racehorse Tony Princess at Kembla GRnage in May. Hitchcock was found to have disposing of a deceased horse without the written approval of Racing NSW and without a veterinary certificate advising of the cause of death; improperly amending the percentage share in documents signed for by owner Jonathan Lloyd-Jones in the racehorse Duchess Royale without his approval and submitting such papers to the Registrar of Racehorses on May 19 in 2014; and insulting and improper behaviour towards stewards Tro Vassallo and Teague McDonald by telephone and e mail. 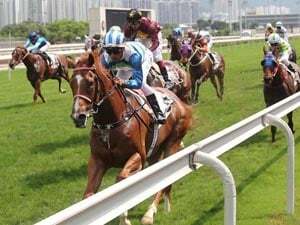 Her training licence has been suspended for three months and she has been fined $750 with the matter of her amending the registration papers of Duchess Royale adjourned for further consideration. Hitchcock was also warned about her unauthorised recording of a stewards hearing held on May 29 without the permission of the stewards. Your IP 18.232.147.215 has been recorded for our records. This information is not published. 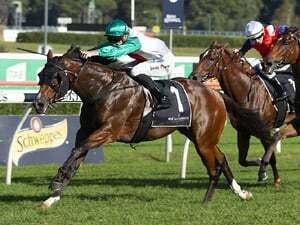 Sticking with the classy runner in the Tips and Race Preview for the 2019 VRC St Leger at Flemington on Thursday. Pierata’s trainer Greg Hickman will face a treatment inquiry before Racing NSW stewards on Wednesday. Chris Scholtz reviews the Sydney barrier trials at Canterbury on April 23.